I was recently reviewing some content that a product marketing manager had created and we were discussing it in light of an upcoming product launch. The discussion that ensued reminded me that for junior product marketing managers it sometimes can be too easy to fall into the product features trap and lose sight of what a product marketer brings to the table as it relates to messaging and positioning. What I told that product marketer at the time, and something I still believe in, is that anyone can write. Creating a piece of product collateral is easy. Just take whatever the product team gives you, do some formatting, work on the grammar and style and you’re done. 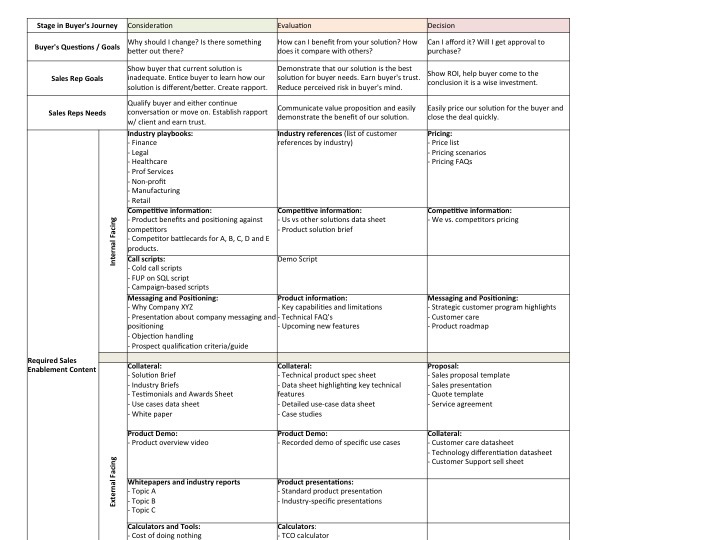 Look at most product data sheets, solution briefs and the like from the multitude of software vendors out there and you know what I’m talking about. A ton of feeds and speeds, how we are “leaders” in the market and why our “world class solution” is faster/better/nicer than everyone’s else. Here’s where the product marketing comes in, to take all of the tech talk, all of the features, and translate them. Good marketers can translate features into benefits, but truly great marketers and excellent product marketers don’t stop at benefits, they go all the way to understand the value to the customer. But wait, you say, aren’t both the same? Not so fast. While a feature related to, let’s say, faster data synchronization might be translated into a benefit for the customer like “more accurate data”, the true value looks at what it means for the business and makes that connection obvious, like “up to the minute customer information when your support team most need it”. Sounds easy, but in reality is anything but. It requires time, experience, and critical thinking. And the best way to get better at doing it is by getting brutally honest feedback that can point you in the right direction. – Can someone that has no knowledge of our company or product simply read this and understand why it is important or how it solves a key problem? – Is it making a clear connection between a problem and a solution? – Would someone having the problem or pain you are solving be truly interested after reading it? – Are you using too many acronyms or industry-specific terms that only few people understand? – Can you say it in a more direct, simpler way? Can you cut out adjectives and still make it sound interesting? – Ask yourself “so what”. Creating content with the value in mind is not easy and requires a lot of effort and discipline. Get others to review and criticize what you wrote, see how others are doing it, and put yourself in the end user or buyer’s shoes. With time you’ll get to do it without noticing it. 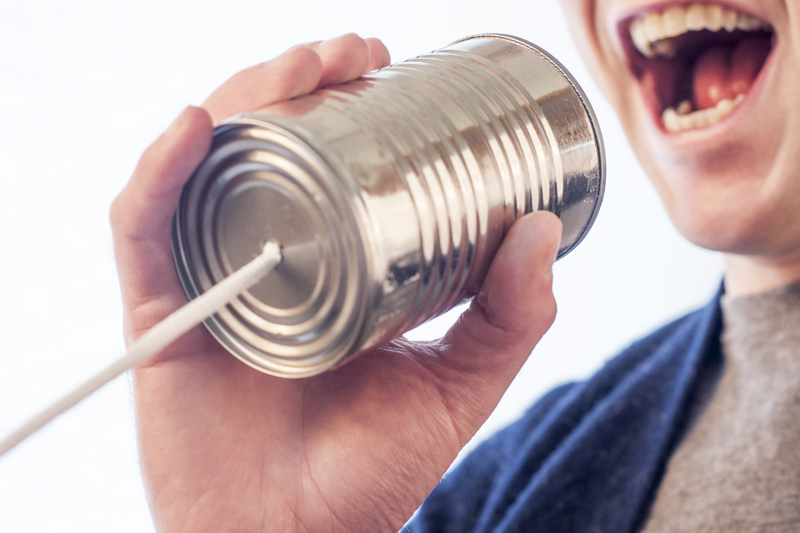 As marketing professionals we all know the importance of storytelling, and with the current hyper-focus on all things content marketing, being able to tell stories is not just a requirement for modern marketers, but is magnified by the different ways in which your stories can be disseminated. The interesting thing is that according to a recent survey by the Content Marketing Institute (B2B Content Marketing – 2014 Benchmarks, Budgets, and Trends–North America), although 93% of B2B marketers report using content marketing as part of their marketing strategy, only 42% of B2B marketers say they are effective at content marketing. The way I see it, most marketers are pressed for creating more content then ever before and they struggle to create content that resonates with their buyers. Unfortunately, this is not surprising. Just take a look at the myriad of emails you get from different vendors, all with bland messaging and tons of weak content. Infographics, to cite an example, got traction around 2010/11 as a great marketing tool and quickly became overused. Everything got dumped into a vertically-oriented PDF or JPG that had tons of data with no clear message. It doesn’t matter, as marketers report increasing the use of infographics (51% over 38% last year) as a key tactic, showing that getting your infographic noticed has become more difficult. But back to the point. The problem marketers face also has to do with a key missing ingredient: storytelling. I was glad to see I’m not the only one feeling this lack of storytelling is plaguing many marketers, as Ardath Albee explains in her post, the product is not the hero of the story. How many times have you read a new ebook or whitepaper and thought, “meh”? The story that focuses on the product is the wrong kind. I know, we are all tempted to showcase our product as the savior, the great dragon-slaying knight that came right on time to save the customer and for a small fee you too can take advantage of this awesome new version that now comes with flaming sword and shield. Why do we do it? Because it’s easy. We just name the features, benefits, and churn a few whitepapers and webinars, throw an infographic there and it’s all set. Then, when is time to review the results we are pressured for more content, with less budget and not enough time. My own attempts at storytelling falls into this trap now and then, as the pressures for more content faster mount. But as I read Ardath’s post and have been rethinking how to tell stories in a way that will resonate with our buyers, I am trying to get better. If you are reading this, so should you! Block two hours (at least!) tomorrow to stop everything you are doing and refocus your storytelling efforts. It will be well worth it. 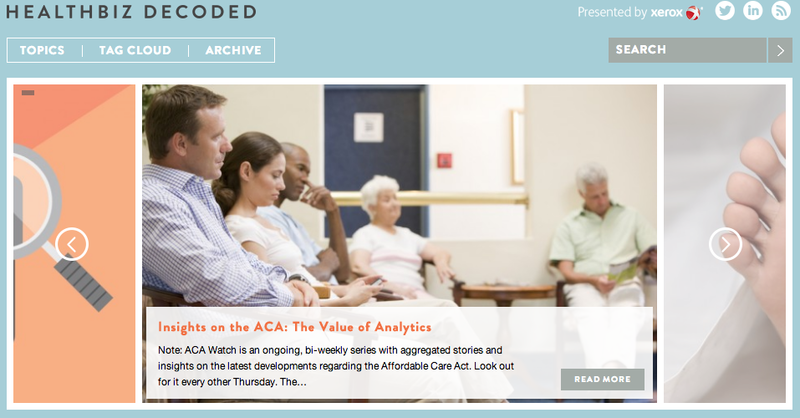 The website features articles by freelance journalists and Xerox’s healthcare expert, as well as aggregated healthcare news from the Web. Includes infographics, videos and resource links in an engaging design. The Xerox logo is a small image at the top and bottom ofthe page. They also sponsored TedMed 2013, a conference focusing on innovation in healthcare and sent a journalist to cover it and blog about the event as well as host a Google+ post-conference chat. 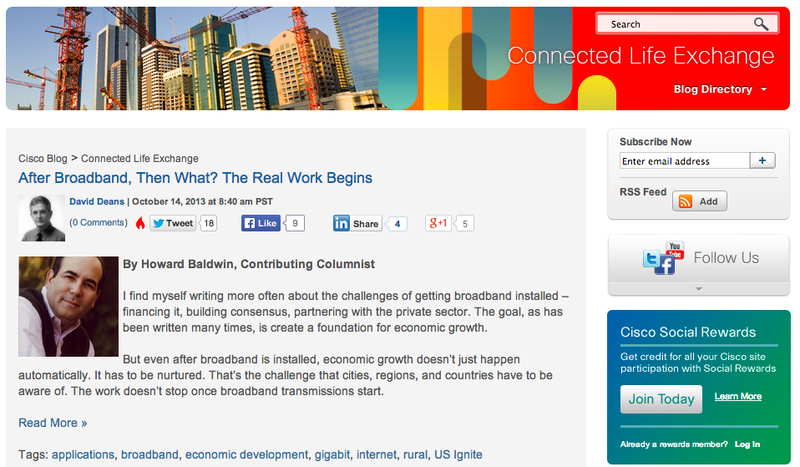 The focus of the blog is in how networks and technology are changing the world. 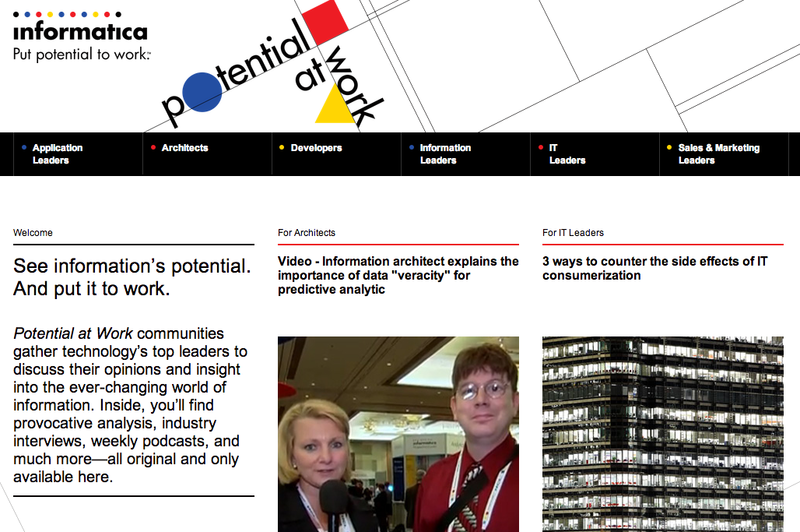 Some posts also include videos from their documentary-style video series on “Network Effect”. It was built to showcase companies in its electronic stock exchange and to attract new ones to list. Part of an integrated marketing campaign called “Welcome to the Biggest Stage in Business”, the microsite is at the core of the campaign. The video profiles a fiber-importer and retailer that hires local women in Nepal and India to recycle fabrics into yarn. 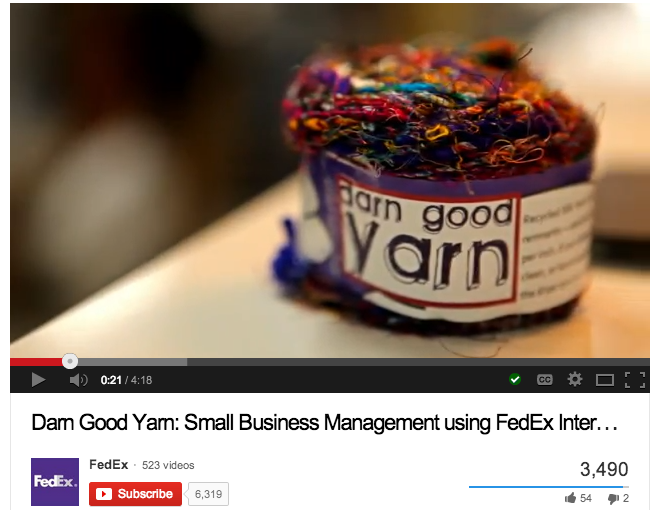 Was selected for its good storytelling showing how Darn Good Yarn came to be a success and how FedEx helped the company save money and grow. The newsletter combines a ton of content with precise targeting, using six separate newsletter content for different types of IT decision-makers: architects and developers, leaders in applications, information, IT, sales, and marketing. The email newsletter is created and sent every six weeks, and each newsletter has original feature articles translated into nine languages. 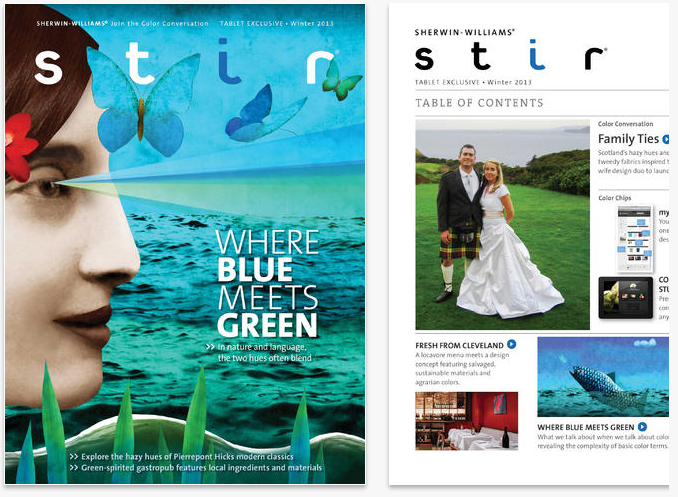 STIR is a custom magazine that is published three times a year, aimed at residential and commercial interior designers and architects. The tablet edition takes the print magazine into the digital realm of iPads and other tablets allowing users to browse all the articles and interact with with videos and the many color palettes. 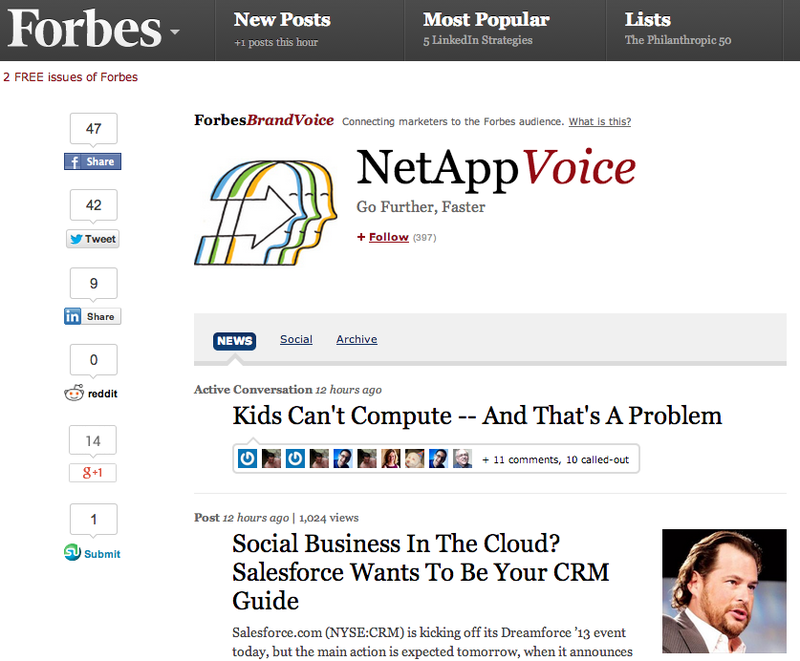 NetApp has a presence at Forbes.com BrandVoice site where it places content coming from contributors on a variety of topics including security challenges of BYOD to a personal column from NetApp Vice Chariman Tom Mendoza. Informative, well written content is strong and because it is features on Forbes.com is gains even more credibility and authority. For the list of all winners and original article from BtoB Online, go to http://www.btobonline.com/section/contentmarketing01. Those in product marketing roles are used to being the product experts and the ones who people turn to when they need creation of sales support materials, thought leadership pieces, and other content needs. The demands on product marketers are great, as the content needs of enterprises only grow to encompass not only the traditional whitepapers and product spec sheets but videos, eBooks, infographics, and more. If you are a product marketer, your challenge is getting everything done while at the same time keeping the big picture in mind. That is, the story you are telling. Product marketers work on product messaging and positioning, which requires a great deal of story telling. What is the product, what problem does it solve, and the typical checklist-style questions you see everywhere are just scratching the surface. A good product marketer gets deep into the customer’s mind, understands the marketplace, and can tell a compelling story not about the product, but about the customer need. That’s the key difference. When I look at work from different companies and different product marketing teams, I see which ones are simply following the “corporate policy” or “product marketing as we have always done it” and those who try to take a step back to ask the question of “why is this relevant?”. It is more than saying “we are the leaders in [fill in the blank]”. It is about communicating to the customer that you not only understand their pain, their needs, but that you also care about solving them. In sum, it requires people that are willing to ask the right questions and to challenge everthing without the fear of doing something different. So, if you are a product marketer, keep in mind that above all, you are the company’s Chief Story Teller. You are currently browsing the archives for the Content Marketing category.